Do you need money? We have millions to lend! Our primary reason for becoming a credit union back in 1963 was to provide affordable loans to our members so they could buy homes, reliable transportation, and whatever else they needed. That still holds true today, although the range of loans we offer is now far greater. Our easy to use web loan application makes applying for a loan online in Brevard or Volusia counties as easy as 1-2-3. At Launch FCU you can apply for a loan online, and even sign for your loan electronically, eliminating a trip to the credit union. However, if you prefer to apply for a loan at a branch, our doors are always open. We offer a variety of loans to help you go beyond to reach your financial goals. Anybody who lives, works, or worships in Brevard or Volusia counties can apply for a loan at Launch FCU. If you already have a vehicle loan or a mortgage with another financial institution give us a call at 321-455-9400 (inside Brevard) or 800-662-5257 (outside Brevard) to see how we could save you some money. 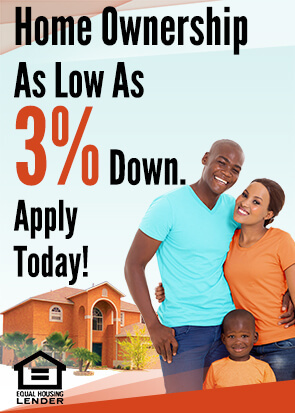 Apply for your loan online, or stop by any of our conveniently located branches today to apply for a loan! Give us a call at 321-455-9400 (inside Brevard) or 800-662-5257 (outside Brevard) or come to any one of our convenient branch offices and let’s talk about what you want to achieve.